A Columbia man with repeat felony drug convictions will serve up to 15 years in prison for his latest arrest – regarding a seizure of 1½ pounds of cocaine. 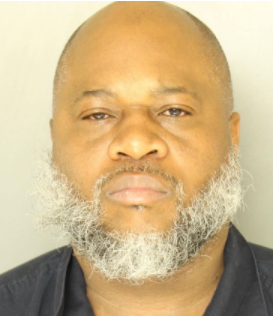 Waldo Shepard, 46, pleaded guilty Wednesday in Lancaster County Court to felony dealing of cocaine and marijuana for Drug Task Force searches earlier this year of a home and storage garage. In exchange for the plea, Shepard will serve 6 to 15 years in prison, in accordance with an agreement arranged by Assistant District Attorney Barry Goldman. Lancaster County Judge Jeffery Wright accepted the terms and ordered sentence. Shepard is also facing sentence for a state-parole violation; he was on supervision for a prior felony drug conviction. Drug Task Force detectives estimated the seized 600-plus grams of crack and powder cocaine to be worth $66,000. The Task Force also found about $2,000 in marijuana, cash and drug-packaging paraphernalia, including scales, baggies, razors, pyrex bowls, and a respirator. The Jan. 26 searches were in the 800 block of Purples Lane in Columbia, the 300 block of Honey Locust Square in East Lampeter Township. Thank you for getting these drugs off our streets.